World of Floorcraft - Swing It! There’s a lot of things we need to be aware of when we dance but sometimes we get SO caught up in our own experience (and obsession with technique…HOW WEIRD IS MY FRAME???) that we can forget other people on the floor.. 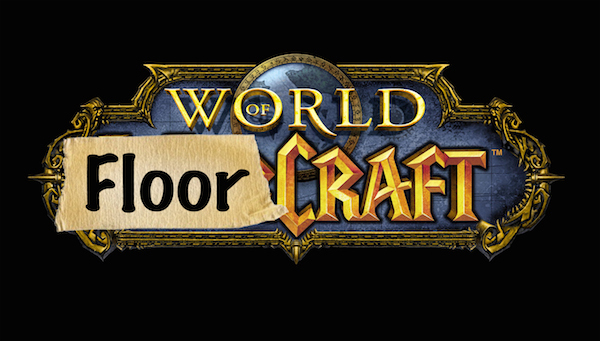 Welcome to the start of a regular (semi-regular…regularish) feature of the site… THE WORLD OF FLOORCRAFT. Endorphins are a great thing, MAN they feel good.. Sometimes though, when we’re in the moment and the music has “taken” us, we can lose control and bump or kick or smash into those around us.. Sometimes that triple step feels SO good and that moment of stretch at the end of a Swing Out is so amazing. OH MY GOD THIS IS WHY I TOOK UP DANCING IN THE FIRST PLACE that we may not notice another human being in our path. Just like in life, our happiness is an important thing but we need to make sure our happiness isn’t at the expense of someone else’s (deep).. Keep your eyes peeled for those around you and do your best to stay within your space.. If the floor is crowded, choose your moves wisely and keep them small.. Watch where you’re sending your partner, Leads.. Follows, watch where you’re being sent.. You never know when you might accidentally send someone into danger. When you do bump into someone (and that’s a when not an if) simply apologise.. A quick wave and a sorry to the other party is more than okay.. Regardless of who’s at fault, both of you should politely say sorry (and if you lead your Follow into someone, Leads, apologise to her too).. Of course if you’ve hit someone hard enough to make them stop dancing, maybe they’re hurt; stop your dancing too and check if they’re okay. Look out for others, have a good time and remember, always be courteous to your fellow dancers.